Category: Power Filtering. Tag: Power filtering. Brands: Furman. When employing the Elite-16 PF E i, you will immediately notice far clearer, stunningly focused sound and visual images from your system. Video presentation will be crisp and colors true with greater gray and black scale definition, as well as noticeably improved depth and clarity. Sonic transients will be startlingly fast with bass fundamentals that shake foundations with their weight and visceral impact. Mid and high frequencies will bloom with sweet, non-glaring ease as imaging improves dramatically, all the while remaining true to your system’s inherent virtues. For over 34 years, Furman has pioneered the development of AC power products for the most demanding audio, video, and broadcast professionals. Though the need for pristine AC power is nothing new, the Elite-16 Power Factor E i’s technology and its unique implementation are revolutionary and without peer. 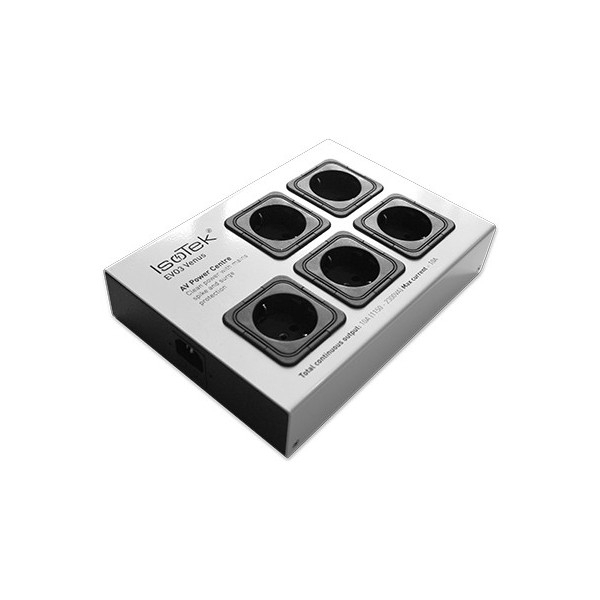 The extreme AC demands encountered in the professional audio / video arena have required technological developments far in excess of typical home theater/audiophile power products. In studios, live sound, and broadcast facilities, breakdown is unacceptable. Equipment failure or poor performance is costly. The same is true of today’s home theater. Our solution based technology, extensive engineering expertise, and robust build quality have answered the challenge of today’s corrupted power lines, and led to the creation of the Elite-16 PF E i.
Today’s power lines are plagued with RF and EMI noise. 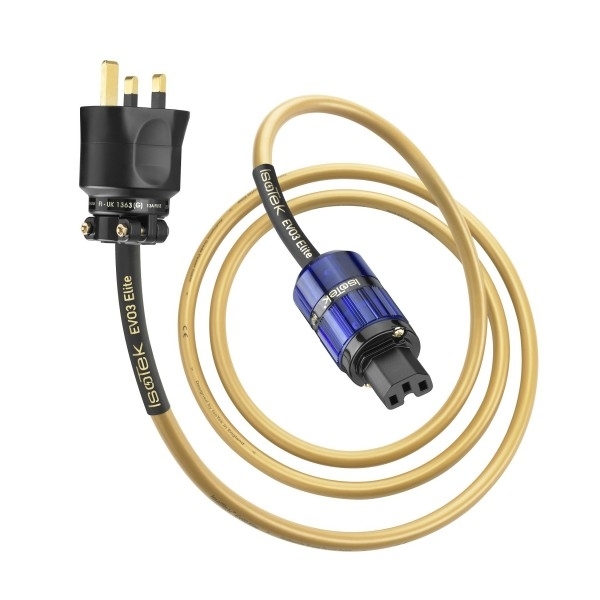 When connecting sensitive equipment to your home’s power outlet, AC noise couples into your system’s critical components, masking low level signals and crippling performance. This low level content is critical because it relays the crucial harmonics and ambience in audio, as well as the depth and clarity in video. The Elite-16 PF E i is so substantial in its ability to unmask critical signal content, its performance is surpassed only by the Furman Reference Series. With Furman’s Ultra-Linear Filtering, televisions, projectors, DVD players, amplifiers, and processors are fed pristine AC power. For the first time, you will see and hear your theater or audio system as it should be — uncompromised. 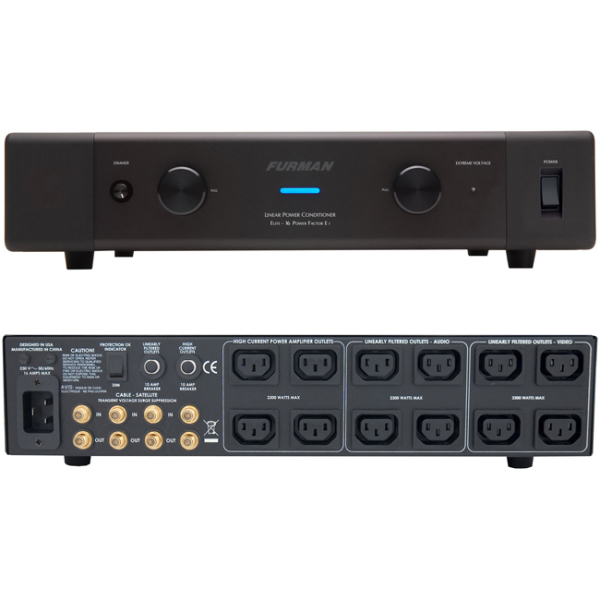 The essence of the Elite-16 PF E i is Furman’s unique Power Factor Technology. 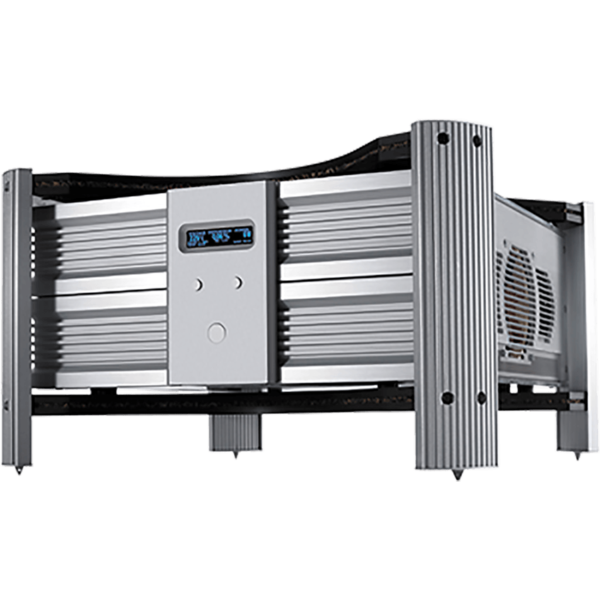 For the first time, low-level analog, digital, and video components are not modulated or distorted by the power amplifier’s extreme AC current demands. Further, the power amplifier is fed a highly filtered, extremely low-impedance supply of AC power. The Elite-16 PF E i, in fact, has in excess of 4 Amps of continuous current reserve (over 55 amps peak charge) for the most extreme peak power demands. This technology enables power amplifiers and powered subwoofers to operate at maximum efficiency, reaching levels of performance previously unattainable. > 40 dB from 5Khz. – 100 kHz. >80 dB from – 100 kHz. – 1GHz.